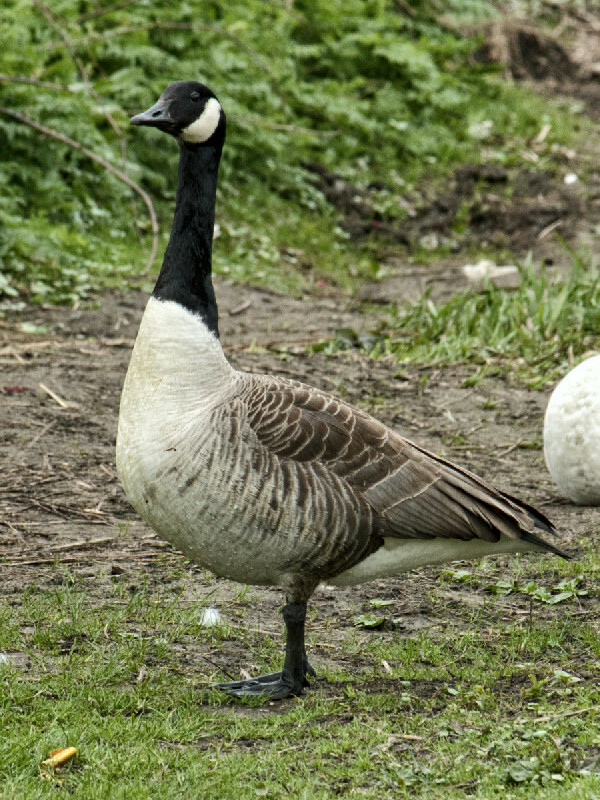 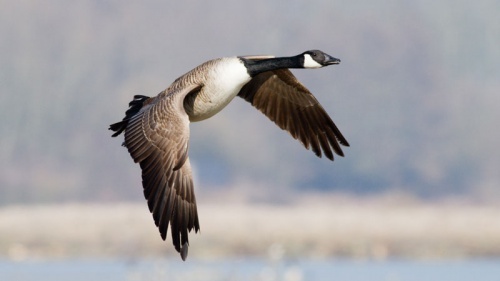 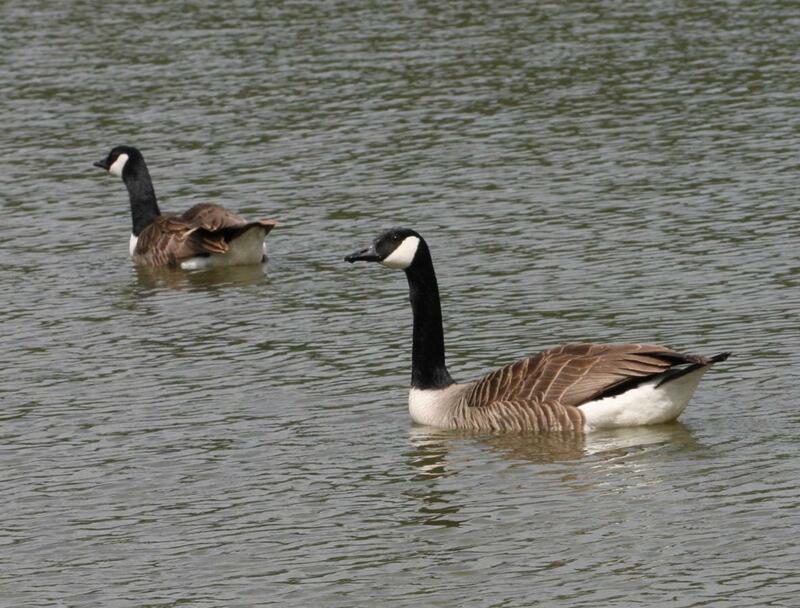 A large goose, with a distinctive black head and neck and large white throat patch. 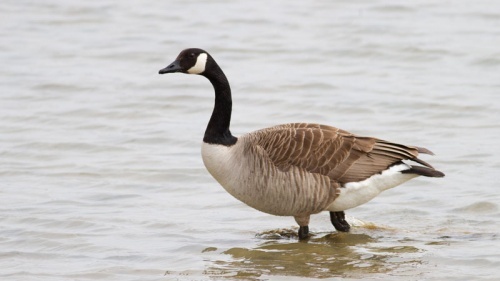 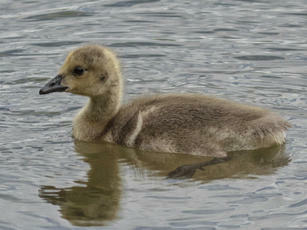 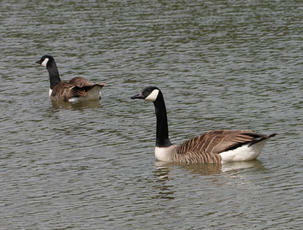 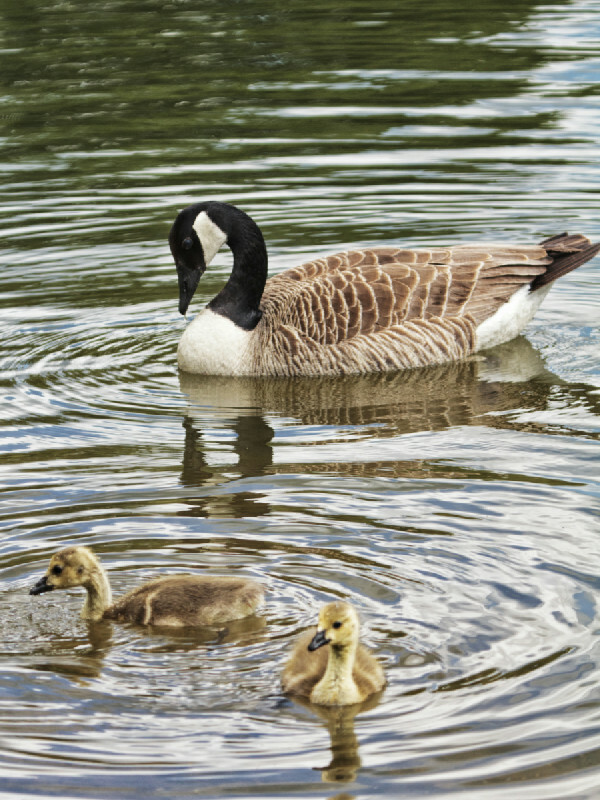 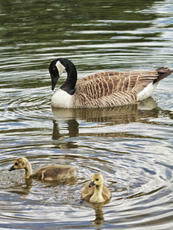 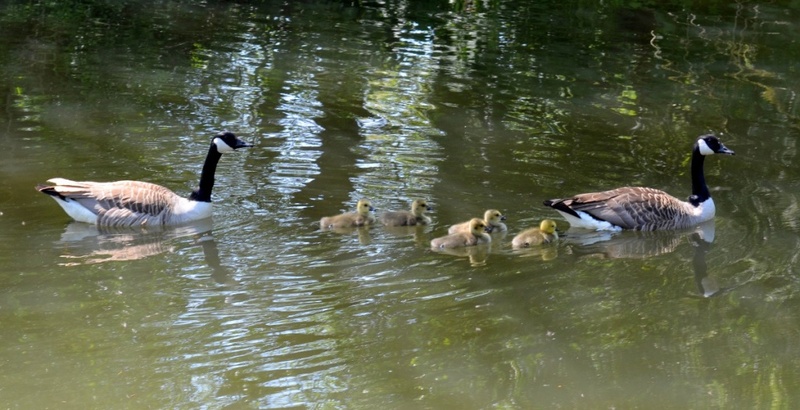 A familiar goose seen around lakes, gravel pits and town parks. 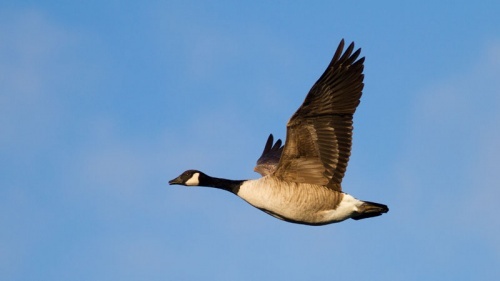 All year round. In winter, occasional birds of small races are seen with other wild geese species in Northern Ireland and Western Scotland, and may be vagrant wild birds. An introduced species from North America, it has successfully spread to cover most of the UK. It forms noisy flocks and is often regarded as a nuisance in areas where large numbers occur on amenity grassland and parks. 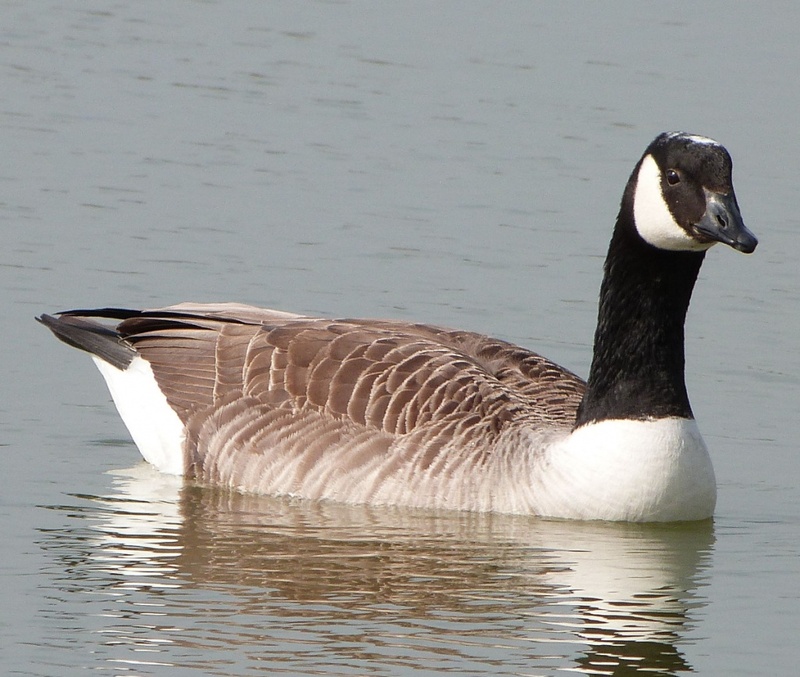 Common in Leicestershire and Rutland, and fairly common as a breeding bird in the area.